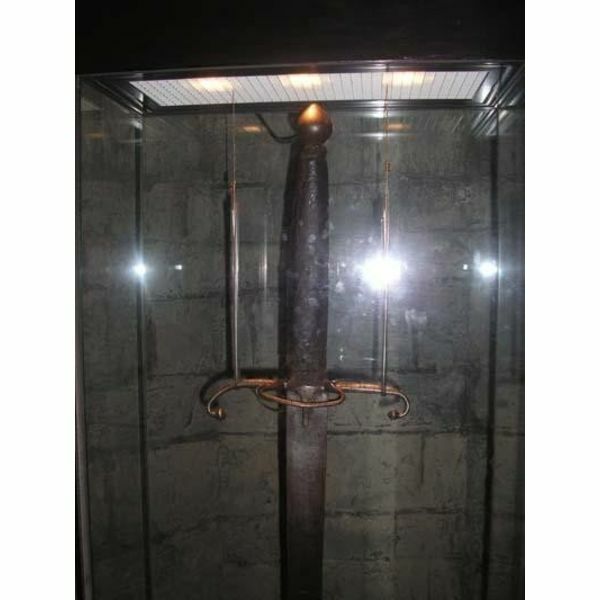 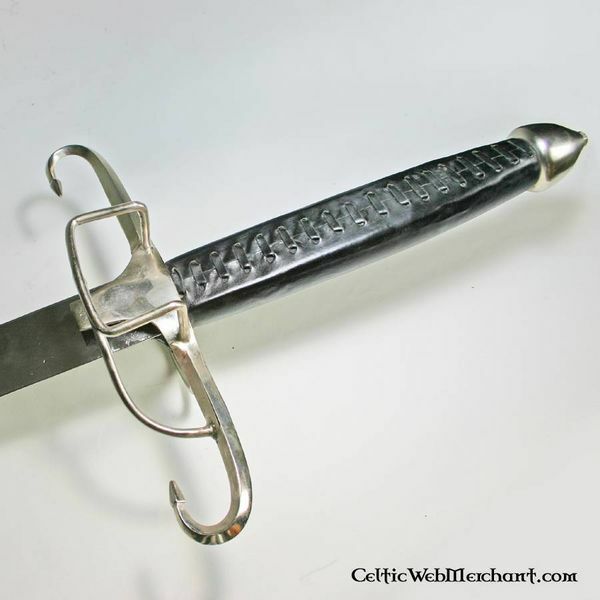 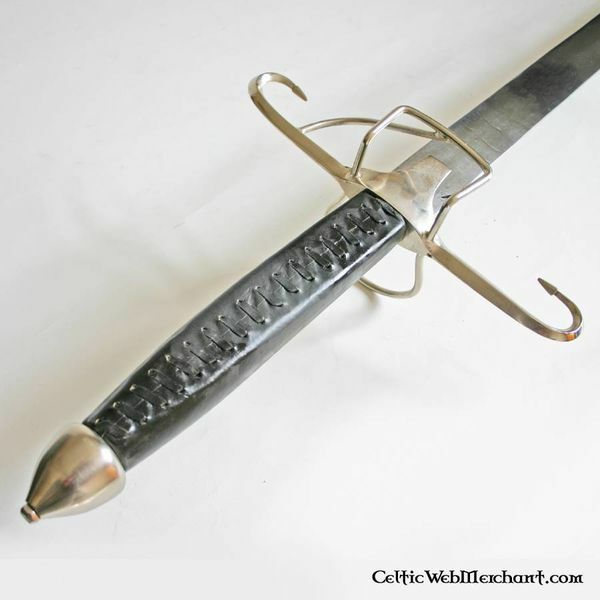 This is a replica of the sword of William Wallace, the original weapon was presumably made of Scottish iron and its blade was covered with the skin of sheriff Hazelrig, who was defeated by Wallace at the battle of Stirling Bridge. 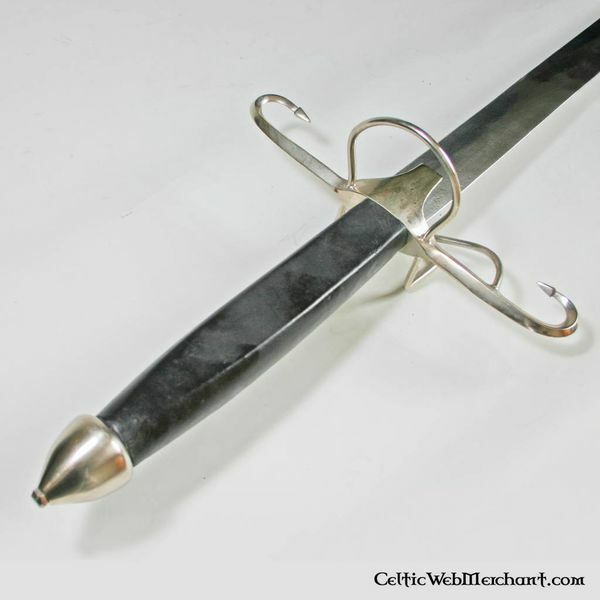 It is known that King James the 4th had commanded to give the sword a new grip. 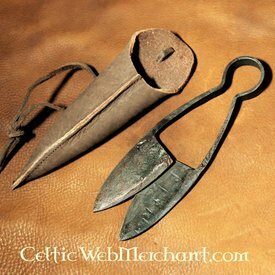 Nowadays the original sword is part of the national treasuries of Scotland. 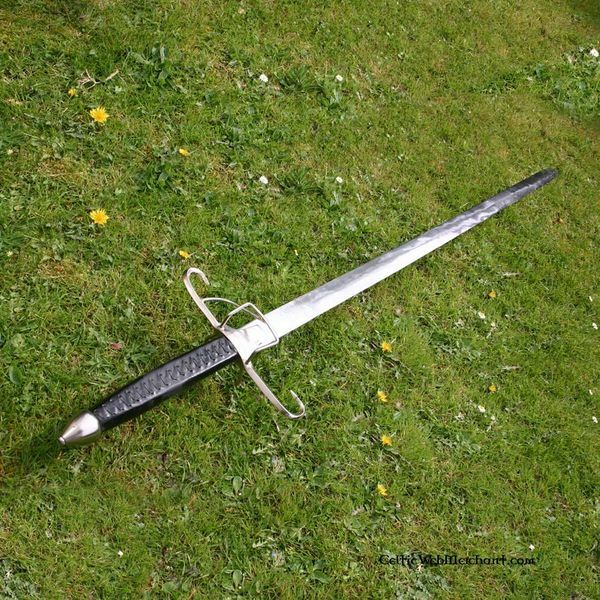 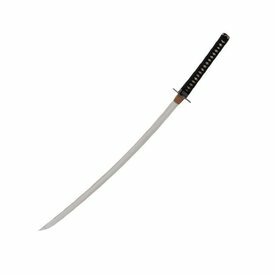 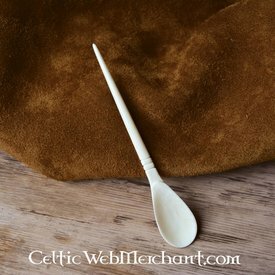 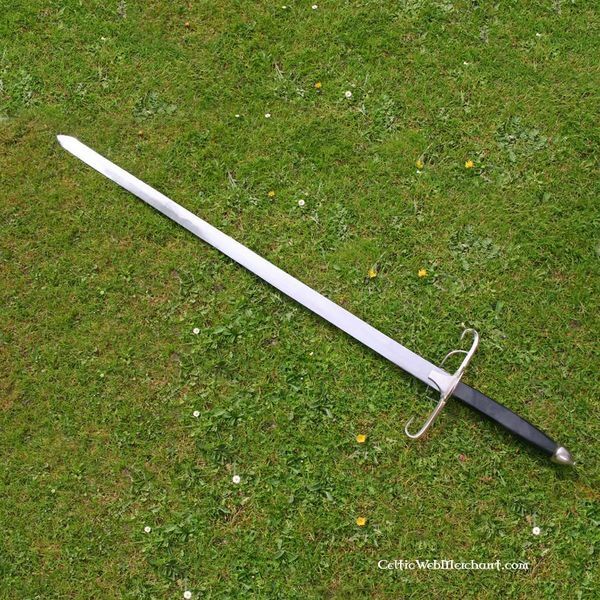 The length of this replica is 168 cm with a blade of 135 cm and a maximum width of 5 cm. 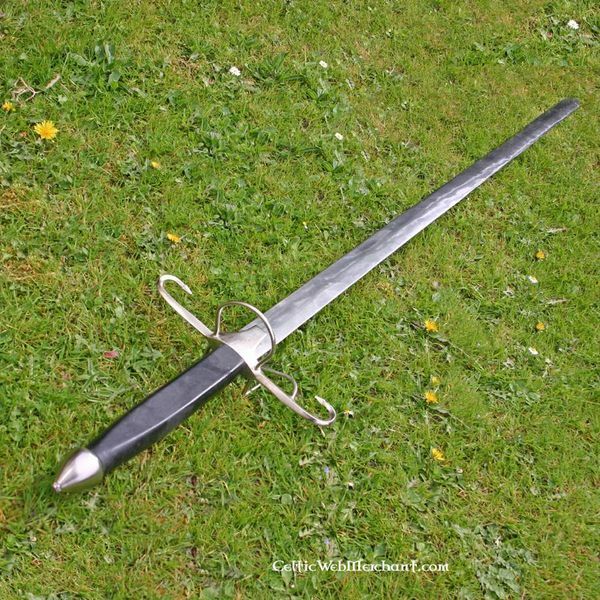 It weighs approx. 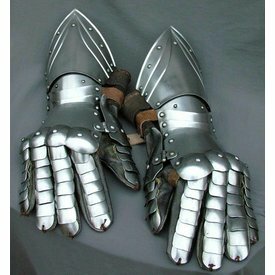 3,25 kg.